A former litigating and estate planning attorney, Broaddus works on land conservation, resource management initiatives and community service projects. 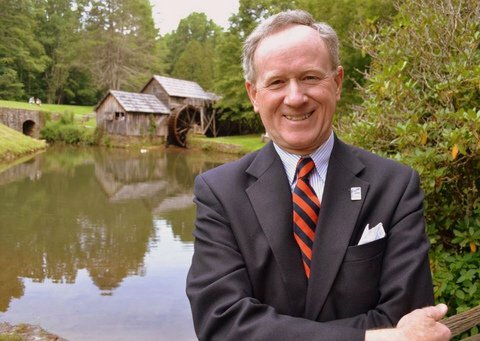 An Elder of his Presbyterian church, he is also Chair of the Blue Ridge Parkway Foundation. Broaddus is a disaster relief volunteer and coordinator. He has rehabbed homes in the eastern Kentucky coalfields with the Appalachia Service Project and has built Habitat homes in Virginia since 1987. Broaddus completed his Bachelor’s Degree in Foreign Affairs from the University of Virginia, studied International Law at Queens' College, Cambridge University, and received his Juris Doctor from the University of Richmond.